Vivek Bhargava, CEO, Dentsu Aegis Network (DAN) Performance Group, has had a fantastic start to the year 2019 with his team Flying Falcon winning the top spot in the Mumbai Games. The tournament, presented by SportzConsult that aims to bring together the people of Mumbai to give them a chance to play, is touted to be the world’s first city level franchise-based, multi-aged sports extravaganza. 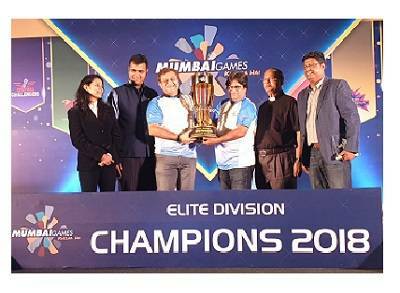 Flying Falcon, co-owned by Vivek Bhargava and Rohan Timblo, CEO at PitchVision, secured the top position in the Elite Cup of Mumbai Games after beating 7 teams. The Elite group comprised the top 200 players in Maharashtra,which were bought by the different franchises at the Elite Player Auction. The Elite division had both male and female players in the sports of basketball, football, TT, tennis, carrom, badminton and chess.